Alvarez Guitars at Andertons Music Co! - Andertons Music Co.
Alvarez Guitars at Andertons Music Co! With one of the most diverse & comprehensive instrument catalogues on the market, Alvarez are considered a leading name in the industry – and we’re thrilled to be stocking them at Andertons Music Co! When we say extensive and diverse, we mean it. For over 50 years, the company has not only strived for perfection, but aimed to cater for the needs of every musician. They live by a familiar but crucial ethos; make great guitars affordable to all. This is achieved not by cutting corners, but with continual learning. Alvarez are always adjusting their designs and manufacture process to deliver the highest quality at the best price. This also results in massive diversity; their product catalogue spans steel-string acoustics, classical & Spanish guitars, baritone models, ukuleles…the list goes on! The design and type of instrument is often defined by the collection it’s part of. Alvarez’s collections range from affordable beginner’s acoustic guitars to professional-grade beauties and everything in between. The Artist Series is arguably Alvarez’s flagship line. Not only is it one of their most popular lines; it’s one of their most diverse too. Offering everything from ukuleles to full-size Baritone Jumbos, you’re bound to find something that suits your needs. Alvarez have employed several of their crucial design appointments for the bulk of their Artist Series offerings, including their FST2 bracing system and their famed attention to detail. Combined with solid tonewood tops, and the Artist Series acoustics offer unparalleled value and performance for their price range. Check out the full Artist Range! Alvarez's Cádiz Series encompasses a number of high-quality classical and flamenco guitars. Traditionally-crafted to give you the most genuine feel and sound from a nylon-stringed instrument, Alvarez visited the birthplace of the classical guitar to conduct their research. Travelling to Cádiz, the spiritual home of the classical guitar, Alvarez aimed to learn more about the rich history and construction of these amazing instruments. Working with local luthiers and players to ensure that their new guitars would satisfy the most fastidious classical players, these time-honoured models offer unparalleled levels of playability. Check out the full Cádiz Range! The extremely popular Alvarez Jazz & Blues series covers a broad range of designs inspired by one of the definitive chapters in American music. This includes hollow-bodied ES-style guitars, semi-hollow electrics with vibrant aesthetics, and even a few small-bodied delta-blues acoustics. As with the rest of their diverse catalogue, Alvarez combine modern manufacture techniques with unique tonewood treatments and beautiful design. The resulting instruments are top-class, offering authentic, articulate sounds and spellbinding looks. Several tweaks to this classic formula also give the Jazz & Blues offerings a uniquely modern edge – expect crystal-clarity and attention to detail! Check out the full Jazz & Blues Range! The Artist Elite range is a relatively new addition to the Alvarez line up. It takes the Artist formula and steps it up a notch, with a number of additional appointments that offer the perfect blend of pro playability, lush sounds and great looks to boot. First up, the tonewoods. Alvarez have opted to use some slightly different mixtures, including Cedar tops, Macassar Ebony back/sides and Acacia. They've also thrown a couple of their subtle semi-gloss finishes, perfectly complementing the wood's grain. Additional luxurious include Flamed Maple and Ebony binding and Alvarez's signature bevelled armrests. Finally, a backward shift in the X-bracing producers a warmer, darker sound that's more midrange focused, making these guitars brilliant strummers. Check out the full Artist Elite Range! Alvarez’s tagline for their Masterworks range is ‘Truly Eloquent Professional Guitars’. Just shy of their hand-crafted Yairi range, the Masterworks offerings are the cream of the crop. As with the rest of their diverse range, Alvarez are committed to offering stunning aesthetics, familiar playability and classy acoustic tones. The Masterworks guitars are defined by their all-solid tonewood construction, meticulous attention to detail and designs inspired by the most popular acoustics of all-time. If you’re looking for uncompromising quality, look no further than the Alvarez Masterworks acoustics! Check out the full Masterworks Range! Established in 1965 by major US instrument distributor St. Louis Music, Alvarez teamed up with master luthier Kazuo Yairi with the aim of producing the finest guitars in the world. The success of Alvarez-Yairi guitars helped put the brand on the market, and are still handmade in Kani, Japan to this day. In the decades that followed, Alvarez significantly expanded their operation, and now produce one of the most extensive and diverse ranges of acoustic instruments in the world. Ranging from affordable entry-level to world-class handmade instruments, Alvarez have got everything covered. Their instruments have been used by the likes of Johnny Cash, Paul McCartney, Carlos Santana, Ani DiFranco and many more – they’re obviously doing something right! Why buy an Alvarez Guitar? 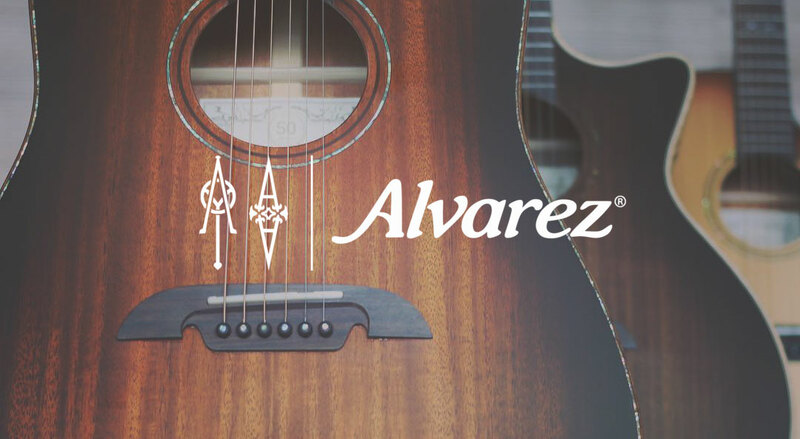 To top it off, we offer excellent finance options on hundreds of instruments in the Alvarez range, as well as free UK delivery on all orders over £99. Winner! Kazuo Yairi was a member of a near-legendary family of Japanese luthiers. His uncle and cousin, Sadao and Hiroshi Yairi respectively, were also known for building instruments under the S. Yairi brand. Alvarez was originally founded in the US in 1965, but they teamed up with Kazuo in the late ‘60s to elevate their craft. The resulting instruments were a huge hit with some of the biggest names in the industry; these were hands-down some of the finest guitars available on the market. 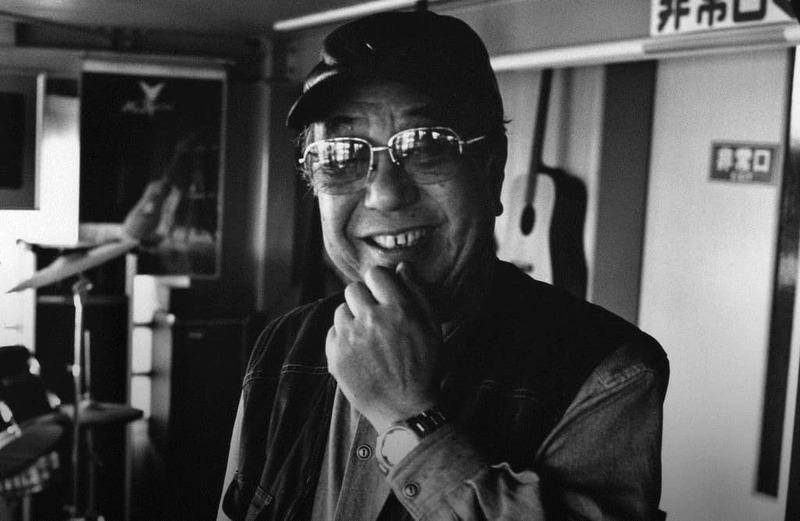 Yairi famously once said that “…good guitars are made of good wood, by good craftsmen.” This simple philosophy embodied his human approach to, and fine ear for, guitar building. His expertise in his craft earned him a Yellow Ribbon Medal of Honour, awarded by the Japanese Emperor in 2006. He passed away in 2014 age 81, with his wife and daughter continuing the business at the Kani factory. Check out the full Alvarez Range!